new units, repair smashed windows and replace door panels, amongst many other tasks that relate to domestic glazing. 4mm clear float glass cut on site. (normal window glass). 4mm obscured and patterned glass cut on site. Sash windows re-glazed and repaired. Traditional and decorative leaded windows re-glazed on site where possible and remade including all colours. 4mm clear laminated safety glass cut on site for doors, panels and other critical areas and all types of patterned glass toughened as required. Toughened glass with polished edges from 6mm upwards for table tops, shelves and shower doors etc. All types of double glazing units repaired and replaced including patio doors, Velux’s and units made with holes to accommodate cat flaps and vents. Roof glazing and skylights of all kinds including all wired glass. All types of broken mirrors replaced and new mirrors made to order and fitted. Safety and solar films fitted. The professional Emergency Glaziers London at Montrose Glass provides clients across the UK with expert advice when it comes to UPVC window glass replacement. They are able to discuss all possibilities and provide an efficient and high-quality boarding up service whilst your new unit is being manufactured to replicate the damaged one. When it comes to misted window repair, Montrose Glass’s Glazier West London team are able to have a new unit manufactured in just 3 – 5 working days. 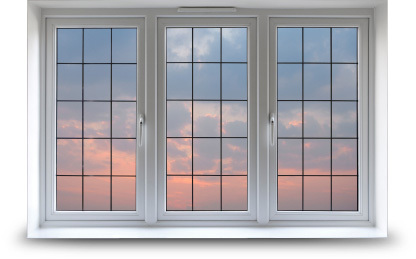 We always aim to manage your window repair in the fastest possible time and with minimal fuss, so that you can carry on with your everyday lives. Call Montrose Glass today on our 24/7 freephone number 0333 920 9933, or simply email through our contact form, and we will be happy to offer expert professional advice and provide a quote. Whether it be a damaged window of any type, roof glazing, broken mirrors and furniture, or a hole cut for cat flaps and vents, you can rely on Montrose Glass to provide the best domestic glazing services at the best prices. Contact us today for more information on the outstanding services that we provide.